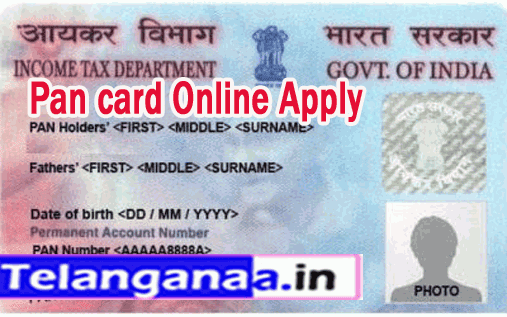 If you live in Karnataka and do not have a PAN card, you must apply for the PAN card today. This permanent account number allows you to deposit taxes, open a bank account, request a credit card, and make important purchases. The application process for the PAN card is now available online and we have listed the step-by-step instructions so that you can request the PAN card in less than 10 minutes. Here is the process for applying for the PAN card in Karnataka. Step 1- Follow the NSDL URL below to request the PAN card in Karnataka. This URL will take you to the form you need to fill in to get your PAN card. In the first section of the form, complete the type of application and other details and click Next. Step 2- You now have a token number and the same number will be emailed to you. Save the details for future reference and click the Next button. Now choose the paperless method to start the next part of the application process. Step 3 - You will be redirected to the next part of the form, and you will notice that the form is divided into several sections. Start by filling out the details on the form and the details are just general information, such as your father's name, address, aadhaar number, etc. It should be noted that you have your father's name or your mother's name on your PAN Card can print. Step 4: In one of the sections of the form, you must upload the documents. You can scan the documents and upload the relevant documents to verify the address, proof of identity, and birth certificate. Once this is done, you will also need to upload your signature and photo. Once this is done, click the Next button. Step 5 - This is the final step in sending online forms. In this step you will have to pay Rs 115,90 to pay the PAN card fee. Once you have made the payment, you must confirm the Aadhaar number with the one-time password. After confirmation you will receive a confirmation. Step 6: You must print the confirmation and send it to the address indicated on the delivery note at the bottom of the page. Do not forget to sign at the bottom of the page. It should be noted that if you were unable to authenticate the Aadhaar card in the previous step, you will need to attach a copy of all documents with receipt of receipt. This was the full process of applying for the PAN card in Karnataka. You can send the publication by mail or a courier service that allows you to track the mail. It is possible to track the status of the PAN card using the URL below. It takes about 5 days to get the PAN card after NSDL has received your mail.